They can live and breed in your inside of your home which provides them with shelter, food and water. They are prolific breeders and increase in numbers significantly; their droppings and urine will contaminate food and food surfaces. Their strong incisor teeth cause destruction to a wide range of materials and have known to cause fires when electrical supplies are damaged. 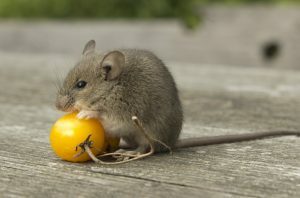 Mice not only a hazard to the home and business they can potentially transmit several diseases to humans, including bacteria and viruses the most significant being Salmonella and Lymphocytic choriomeningitis virus (LCMV). Mice are inactive during the day preferring to stay in their nest or burrows, tell-tale signs of droppings would confirm the presence of mice to your home. On their search for food and water they tend to rub their fur against surfaces, these dark smear marks can be seen against skirting or gaps and holes. Droppings (small and dark) scattered randomly on kitchen tops inside cupboards. Gnawed foods or packaging, damaged goods or cupboards. Dead mice or sightings of live mice during the day may indicate an infestation. Pets can get unsettled with sense of mice around the home. Barbeques hotplate is a favourite place not only for supplies but will nest between the grill and base plate. Furniture that been left outside and is not being used, storage of cars. How can I prevent mice infestation? Mice are inquisitive and investigate anything new in their area, they are extremely good climbers and have to ability to scale a vertical wall, squeeze through the smallest of gaps the width of a pencil. Remove all uneaten pet food in dishes, clean away spillages from the ground from under the bird cage. Empty food waste and recycling bins regularly, make sure to use bins with good lifting lid. Place food in rodent proof containers; don’t leave food out in the kitchen overnight. Ensure that any gaps, holes, or pipework entering through the wall is sealed and fixed. Use a fine wire mesh placed over air vents to the external wall. How can I prevent mouse infestation? Householders can assist in preventing mouse infestation by taking a number of simple precautions. Keep your home in good repair. Mice only need a gap the diameter of a pencil to gain entry. Remove potential nesting sites by keeping yards and gardens clean and tidy, and by cutting back overgrown areas. Seal gaps around heating and water pipes. Ventilation bricks and slots should already have a fine wire mesh incorporated. If this is worn, replace it externally with 3.15mm insect mesh. Do not leave household waste where mice can get access to it. Close dustbin lids and composters and do not feed wild birds to excess – you may be feeding mice as well. How can I get rid of mice? It is important to get rid of mice quickly, as house mice reproduce rapidly. It is possible to carry this work out yourself; however, a professional pest control expert will always have more technical expertise and access to rodenticides that are not available over the counter. If you decide to carry out the work yourself there are two options – poison or break-back traps. Mouse poison (rodenticide) can be brought from most hardware stores and most garden centres. Put the poison in a safe and secure place out of reach of children and pets and ALWAYS wash your hands after use. Rodenticide can take 4-12 days to take effect. This may result in a localised foul smell due to the presence of carcasses. Break-back traps may be set and these should be placed next to walls where mice tend to travel. The traps should be baited with chocolate biscuit or cereal. Use several traps and examine them daily, removing dead mice as soon as they are discovered. All traps should be handled with care. Our professional technicians will survey and assess the infestation and advise on the most effective treatment to your mice infestation. 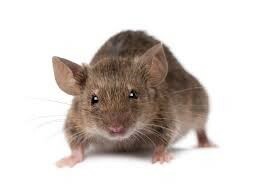 Confirming the presence of a mice infestation will be the key to a successful solution, mice are nocturnal and shy and you may not actually see them, but there will be the tale tells signs our professional technician will see with their experience in mice infestation. We use a wide range of technology and treatments to eliminate the infestation to your home or business. House mice thrive under most conditions and active all year and found in and around homes and businesses. Mice are sexually mature at 8-12 weeks. 5-6 young in a litter.